For more information on some conditions commonly treated by chiropractic see Common Chiropractic Conditions. Chiropractic has provided effective relief to millions of individuals suffering from back and neck ailments. Chiropractic has also provided relief from many other musculoskeletal complaints ranging from knee and ankle problems to carpal tunnel syndrome and tennis elbow. In fact, if you suffer any musculoskeletal pain or discomfort in any area of the spine or extremity, you may be a candidate for natural, non-invasive chiropractic care. If a condition exists which is better suited for treatment by a medical specialist, chiropractors are fully trained to identify such conditions and make the appropriate referral. However, most patients suffering from musculoskeletal complaints can and are successfully treated with chiropractic. A chiropractic adjustment involves using a specific force in a precise direction, applied to a joint that is fixed, locked up, or not moving properly. This adds motion to the joint, helping the bones gradually return to a more normal position and motion. The purpose of this procedure is to improve spinal function, nervous system function, remove muscle tension, and enhance health. There are many ways to adjust the spine. Usually, the chiropractors’ hands are used to deliver a brief and highly accurate thrust, although specially designed instruments or tables may also be used. After years of training and clinical experience, each chiropractor at Back to Basics Chiropractic is highly skilled in delivering a variety of adjusting approaches. What Is The Sound Heard During An Adjustment? Recent research on this subject shows that a gas (in this case nitrogen), which is normally dissolved into the surrounding tissues of the spine, rushes in to fill the partial vacuum created when the joint surfaces are slightly separated. Another example of this phenomenon would be the “pop” you hear when you take the cork out of a champagne bottle. The carbon dioxide in the champagne rushes out of the bottle when the cork is removed. This phenomenon is called a cavitation. It is not always necessary to cause a “crack” or cavitation in order to gain the desired effect of an adjustment. The main aim is to increase movement at the specific segment of the spine to positively influence the surrounding tissues. In fact, some chiropractic adjustment techniques use little force and thus produce no sound. Why Do The Joints Of My Spine Tighten Up? There is no one answer to this, though there are some factors that will have more of an influence on the function of your spine than others. One of the major causes of increased stresses on the joints of the spine is your posture. This is something that will have an effect every day of your life. Some other factors include motor vehicle accidents or falls; improper lifting; long periods of sitting; improper sleeping conditions or habits; occupational hazards; lack of rest; lack of exercise; obesity; and even an inherent spinal weakness. Basically, anything that places undue or unbalanced stress on the spine can lead to a tightening of the supporting ligaments and muscles of the spine. When the joints of the spine are not moving correctly, it is referred to as a spinal subluxation by chiropractors. In fact, in a study comparing a course of chiropractic care with a course of anti-inflammatory drugs, chiropractic was shown to be 250 times safer (1). As with any form of health care, there are some risks. Some people may feel slight soreness following their first few adjustments as the body begins to realign. This is usually very mild, and lasts only a short time. Then there are the very rare risks of infrequent strain/injury to a ligament or disc in the neck (less than 1 in 139,000) or the low back (1 in 62,000). There is also an extremely rare risk of stroke associated with adjustments of the neck. All studies published found the risk to be very low (3,4,5), with the most recent research published in 2001 putting such an event at one in 5.85 million adjustments (6). Despite the many benefits of medical care, there are some risks associated. Specifically, neck surgery has a three to four percent rate of complications which in turn leads to 4,000 to 10,000 deaths per million cases (7). Spinal adjustments are especially gentle during pregnancy, as far less force is required to correct spinal joint restrictions. This is due to the increase in hormones causing significant muscle and ligamentous relaxation. Special “adjustive” positions are also used to provide comfort and safety for both mum and baby. More than 50% of women experience back pain during pregnancy, especially in the third trimester. Because of the additional weight, there is an increase in stress on the framework of the body. Chiropractic adjustments do not harm the pregnant mother or her unborn child. In fact, maintaining a healthy spine and nervous system throughout pregnancy can prevent further postural problems that might occur during and following childbirth. Once pregnant, some women feel they must stop their chiropractic care. This does not need to be the case. In fact chiropractic care is a valuable component of a healthy pregnancy and can be used throughout. After the baby is born, chiropractic care ensures that normal spine and pelvic bio-mechanics are restored and that pre-pregnant musculoskeletal status is achieved. Chiropractic care is considered safe* for children. In fact, many people even have their newborn child checked due to the amount of trauma that can occur during the process of birth (especially if forceps are used). Modifications are made to accommodate for children, with less force required to gain the desired effect of an adjustment. For young children all that may be required is the use of fingertips. Children generally respond very quickly to chiropractic, and will usually require a less intense treatment frequency before moving on to a maintenance program. For more information on children and chiropractic, visit our Children’s section. *Chiropractic treatment is generally considered safe but occasionally it may cause adverse reactions in some people. For more information regarding the risk of treatment specific to your personal situation, please consult your chiropractor. Getting older does not mean you have to endure aches and pains. People often disregard treatable joint and muscle problems by saying “I’m just getting old”. 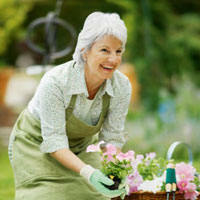 This is often not the case, and these aches and pains of getting old may be treatable. Regardless of your age, chiropractic care can help to improve mobility and function of your body. More and more people are consulting chiropractors, especially in their later years. With growing concerns about over-medication and the side effects of combining various prescription drugs, safe, natural chiropractic care is growing in popularity. The adjusting technique used by the chiropractors at Back to Basics will be modified for maximum comfort and results. Even patients with osteoporosis and other ailments can receive treatment with the right modifications. Can I Adjust or “Crack” My Own Back and Neck? Many people commonly crack their own necks and backs in order to gain some relief or a ‘pressure release’. There is no denying that it can give some relief in the short term, but in the long run, it may be detrimental to your spinal health. If your neck cracks by a simple turn or bend of the head, or your lower back by a twist, it is likely that the joints are actually hypermobile (moving too much). This means that you are self-manipulating and increasing the movement of joints that are already moving too much. These joints may be moving too much in order to compensate for a lack of movement in other joints. If joints of the spine are restricted, other joints will attempt to make up for the lack of movement. These are the joints that will crack easily, and not the joints that are causing the problems. Spinal pain is often due to this phenomenon. If a joint has to increase its movement due to a restriction somewhere else, more stress is placed upon the supporting ligaments. With this extra movement, the joint is more prone to sprain and resultant pain. Cracking these joints will give short term relief only. In order for sustained improvement the actual cause must be addressed. This is where a chiropractor comes into play. Chiropractors are trained to locate and treat the cause of your problems. So the nagging from your mother about cracking your knuckles too much causing arthritis may be true to some extent. If the joints are moving too much, over a long period bony change may occur in order to stabilise the movement. When this bony growth begins in an attempt to lock-off the joint, it is known as degenerative joint disease or osteoarthritis. Are All Patients Treated and Adjusted the Same Way? Regardless of the adjusting technique, chiropractic care is tailored to each patient’s age, condition and spinal problem. An example of this is with the treatment of children. Children generally have more mobile joints, and therefore, require less force in order to attain the desired effect of the adjustment. In addition to varying the amount of force used, treatment frequency will also be customised to the individual. Different conditions require different intensities in treatment schedules. The chiropractors at Back to Basics Chiropractic will tailor the amount of treatment needed depending on a number of factors. These factors include (but are not limited to), what tissue is involved (eg. ligament, tendon, muscle, disc), how long you have had the condition, the amount of inflammation and intensity of pain being experienced, and the presence of any unavoidable aggravating factors to your condition (eg. your occupation). Australian chiropractors study full-time at University for a minimum of five years. The chiropractors at Back to Basics Chiropractic each graduated with a Bachelors degree in Science, and a Masters degree in chiropractic. The course is of similar length and depth as medical courses, but focus on promoting better health via better body function, rather than on drugs and surgery. Accordingly, chiropractic education involves a special emphasis on anatomy, physiology, pathology and diagnostic sciences, neurology, biomechanics, X-ray, chiropractic spinal adjusting techniques and related subjects. This comprehensive knowledge means that the chiropractors at Back to Basics Chiropractic are experts in knowing when a person will benefit from specialised chiropractic care, and when referral to another health provider is required. Chiropractors are fully licenced health professionals who are governed by Registration Boards in every state of Australia. A chiropractor’s education never ends. After entering practice, the chiropractors at Back to Basics Chiropractic complete continuing professional development courses and seminars to upgrade and improve their skills and to stay current on the latest scientific research. How Long Will I Need Chiropractic For? The tissue that is damaged – e.g. The tendon of a muscle will be slower to heal than the interior of the muscle due to having a poorer blood supply. Age – Generally as you get older, your rate of recovery will decline. Trauma or accidents – past or present. Smoking – Decreases the rate of healing. Nutrition – The healthier your diet, the more fuel there is available for repairing your tissues. Stress – High stress levels can slow recovery. Posture – Poor postural habits place increased stress on ligaments and muscles and can not only slow recovery, but also can be a major cause of symptoms. Occupation – Your occupation may involve activities that aggravate your condition, e.g. lifting or sitting for extended periods. Why Should I Continue Treatment If The Pain Is Gone? It is a common belief that if you are not in pain, there is nothing wrong with you. This can be far from the truth, and you would be amazed what you will become used to and perceive as being normal. Pain is actually the last symptom to appear, and the first to leave. Therefore, it is not a good indicator of how your spine is functioning. Continuing treatment for a chronic condition may continue to provide benefit and also prevent recurrence of the problem. 1. A Risk Assessment of Cervical Manipulation vs NSAIDs for the Treatment of Neck Pain. Vaughan Dabbs, DC and William J Lauretti, DC. J Manipulative Physiol Ther 1995; 18(8):530-6. 2. Dvorak study in Principles and Practice of Chiropractic, Haldeman. 2nd Ed. 3. Manipulation and Mobilisation of the Cervical Spine: A Systemic Review of the Literature, Hurwitz EL, Aker PD, Adams AH, Meeker WC, Shekelle PG. Spine, 21(15); 1746-1760, 1996. 4. Risk Factors and Precipitating Neck Movements Causing Vertebrobasilar Artery Disection After Cervical Trauma and Spinal Manipulation, Haldeman S, Kohlbeck FJ, McGregor M. Spine, 24(8); 785-794, 1999. 5. Conservative Management of Mechanical Neck Pain: A Systemic Overview and Meta-Analysis, Aker PD, Gross AR, et al. The British Medical Journal, 313:1291-6, 1996. 6. Arterial Disections Following Cervical Manipulation: The Chiropractic Experience, Haldeman S, Carey P, Townsend M, Papadopoulos C. Canadian Medical Association Journal, Vol 165, No 7, 905-6, 2001. 7. The Cervical Spine Research Society Editorial Committee. The Cervical Spine, Second Edition. Philadelphia, PA: Lippincott 1990:834.